With six months to go before its release, Apple's HomePod is a bit of a mystery—and that's ok. This week, we learned that Apple’s much-rumored smart speaker is real, and it’s called HomePod. Now the wait begins—six months until it ships in December. But while we’re waiting, Apple’s still tweaking the product and getting it ready to launch. Sure, a few of us lucky souls were able to listen to a HomePod at Apple’s developer conference, but nobody outside of Apple has talked to one or picked one up. At the risk of stating the obvious, that’s because this is a product that’s not finished yet. Apple doesn’t want to publicly commit to a feature and then realize it can’t ship it; the product as the company conceives it today may not be the product that ends up in customers’ hands in December. 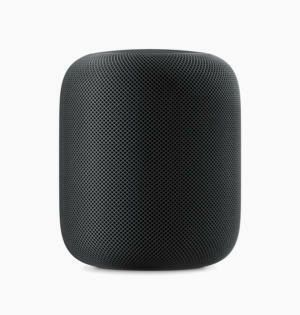 The HomePod’s hardware has to be nearly final by now. At this point, some aspects of the HomePod are locked in. First and foremost, the hardware itself: It’s possible that Apple will tweak it here and there between now and when it goes into full production, but it’s unlikely to change much. That means the seven-inch tall speaker, covered in 3-D mesh fabric in black or white, is what we’ll get in December. The seven tweeters, four-inch woofer, and array of microphones, that’s a given. I can tell you that what I heard from the HomePod speakers in San Jose, I mostly liked. Certainly, the device can fill a room with impressive, dynamic sound. I’ve still got some questions about the processing the HomePod does to the sound—but we’ll get to that in a bit, since that’s likely driven by software that’s still a work in progress. But there’s no doubt in my mind that the HomePod’s speakers are impressive. Powering the HomePod is an A8 processor, the same processor used on the iPhone 6, iPad mini 4, and fourth-generation Apple TV. That processor will be tasked with a whole lot of signal processing, from filtering portions of the outgoing Apple Music track and routing it to various speakers to interpreting the input from the microphone array and recognizing when there’s a Siri command incoming. It’ll also be in charge of processing other Siri commands, talking to the network, and plenty more. The speakers and microphones may be a bit new for Apple, but the rest of this device is assembled from familiar bits of Apple’s hardware, software, and services. Of course, Apple has committed to Siri support for more than just music playback. General queries about news, sports, weather, and other general information should be there. Apple says you’ll be able to send texts via Messages, which sounds like the HomePod will be able to share phone and message information just like Macs, iPads, and iPhones can today. There’s also support for HomeKit. Right now, you need a fourth-generation Apple TV or an iPad resident in your house in order to schedule some HomeKit devices and control them all from outside your home. The HomePod will also serve as a HomeKit hub, so you don’t need one of those other devices to be present at all times. There are also some careful security decisions that Apple has had to make for a product that’s always sitting inside your house—for instance, while you can do a lot of home control with HomePod, there will be limits—so, for example, someone outside your front window can’t shout for your HomePod to unlock the front door. 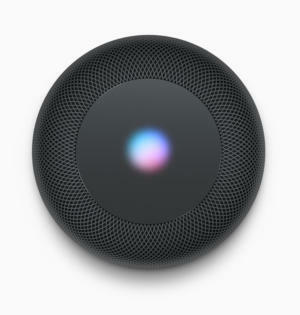 What’s does the light at the top of the HomePod signify? We don’t know yet. 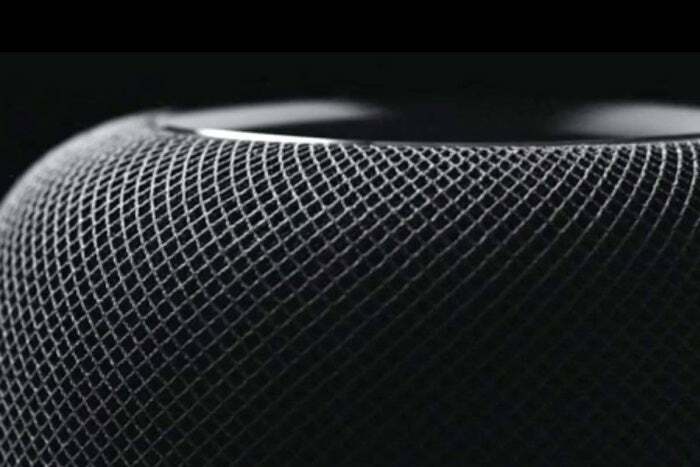 A long lead time is required to manufacture and build up inventory of hardware, so Apple will finalize the HomePod hardware far sooner than it has to finalize its software. 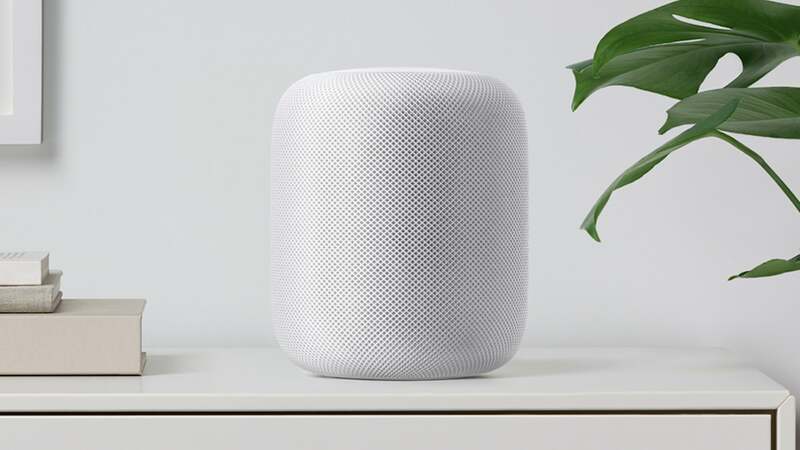 In fact, as an embedded home device, a new HomePod will probably connect to a network for the first time and immediately update its own software. That gives Apple a lot of time to tweak the onboard hardware. The thing I’m most curious about is how Apple chooses to handle the way music is processed by the speaker system itself. From Phil Schiller’s presentation in the Keynote and my own personal experience listening to the HomePod at WWDC, it’s clear that Apple is applying a whole lot of intelligence to breaking apart the components of a musical track and routing the audio to different speakers. The result is something that’s a little like surround sound—and all this from what is essentially a mono speaker. (I’m a bit surprised that the HomePod doesn’t appear to try to emulate stereo effects with its many tweeters, but at least for now Apple seems to suggest that for real stereo effects you’ll need to buy two HomePods and use them in concert.) With most speakers, to get the full effect you need to be sitting right in front of them, but the HomePod is firing off sound in all directions, so as I circled the HomePod I listened to, I never felt that my ears were falling out of the sweet spot. That said, the idea that Apple is processing the audio signal in order to route portions of it to different speakers might give some audiophiles pause. Even I felt that one one track, Stevie Wonder’s “Superstition,” Apple’s separation of bass and treble went too far—turning a crunchy compressed 70s tune into something that was noticeably different, and to my ears, not for the better. So I wonder if Apple will be spending the next few months tweaking its audio algorithms. Will the processing approach change based on the genre of a given song? Will a HomePod’s owner be able to control the aggressiveness it uses to process audio, just as many devices let us apply EQ settings? Will Apple offer different pre-sets, so different listeners can find the setting that sounds right for them? We just don’t know—and Apple might not know yet, either. We also don’t seem to know much about the swishy Siri logo at the top of the HomePod. It doesn’t appear to be a screen, per se, but more of an indicator area—perhaps different combinations of lights signal different kinds of activity or other status. There’s also hardware to control the volume of the device right on the top. There’s probably a lot more detail here that Apple’s holding off on discussing for now—perhaps because it muddies the core message, or perhaps because it’s not final yet. We don’t know what the process is that the HomePod uses to calibrate itself. When it comes out of the box, does it use its own microphones and some test tones to figure out the sound characteristics of its home? Or does it require calibration from an external source? Sonos’s calibration routine involves wandering around a room holding your smartphone to listen to pulses and tones being emitted from the speaker. I’d imagine Apple would like to avoid that if it could, but can it? We don’t know how good the microphones on the HomePod are, though Phil Schiller suggested that they’re excellent, able to understand you across the room at a normal voice while music is playing. We’ll have to see if HomePod can live up to that promise, but I’m hopeful. 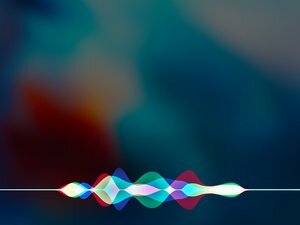 I have the sneaking suspicion that an array of good microphones will make Siri on the HomePod feel a lot more reliable than Siri on an iPhone or iPad. There’s a lot we don’t know... but that’s okay. This summer, we’ll all be learning about what’s coming this fall in iOS 11, macOS High Sierra, watchOS 4, and tvOS 11. At some point this fall there will be new iPhones, presumably. Meanwhile, in the background, Apple will be putting the finishing touches on the HomePod—and the new iMac Pro, too. I can’t wait to hear more details about both products—once Apple’s figured them all out.